Something for the Need for Speed Pros! 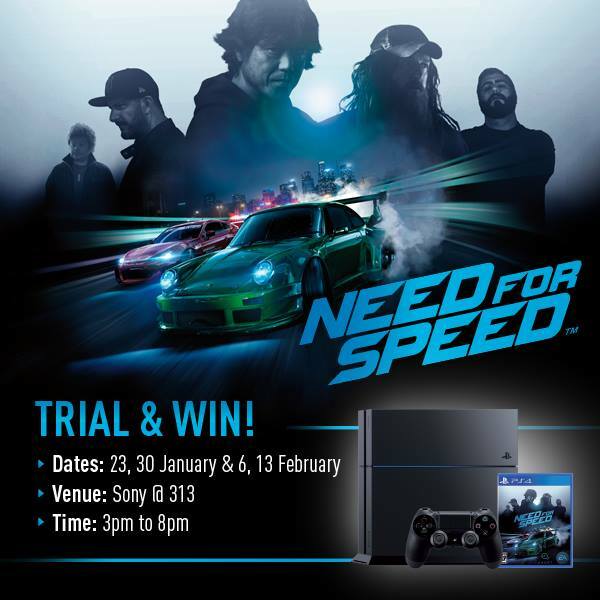 PlayStation Asia is hosting a Need for Speed Time Trial Competition here in Singapore. The Competition started last Saturday and will be ongoing for the next 3 Saturdays. Prizes? Of course, they are! Overall Champion over the course of the 4 weeks will receive a PlayStation 4 500GB console. Competition Rules: Each participant will be given 2 runs per session to clock the fastest timing in the Time Trial event. The faster of the 2 timings will be recorded. Limited to 1 session per person per day. If you are interested, you can check out the full details, rules & regulations at PlayStation Asia's site. Good luck folks! Anyone tried their luck last Saturday, feel free to post your thoughts on the competition below.